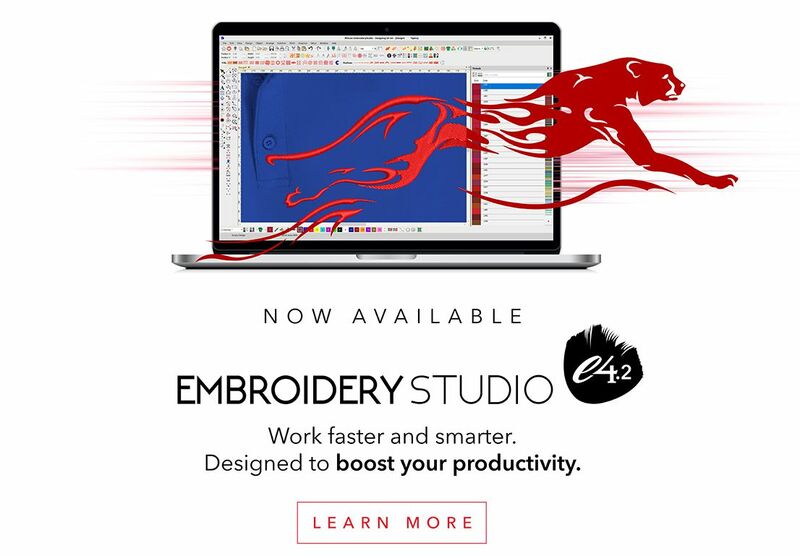 The soon-to-be-released EmbroideryStudio e4.2 introduces a new Home/Welcome Screen with handy links to Wilcom News, your Wilcom community where you can search for answers to questions you may have, offer help to others and learn and the Wilcom Blog. We are passionate about providing the product you need so here is the chance to make suggestions to improve your digitizing software, by making suggestions in the Community forum. 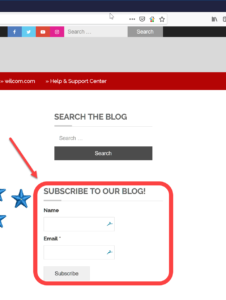 The Blog provides links to articles and videos to help you improve your digitizing skills quicker than every before. Please consider allocating a few minutes each day to review the articles, the videos are usually less than 5 minutes long and are packed with lots of useful hints and suggestions. The video below will describe the links and where to find them, be sure to subscribe to the blog to get the latest links to articles and videos. 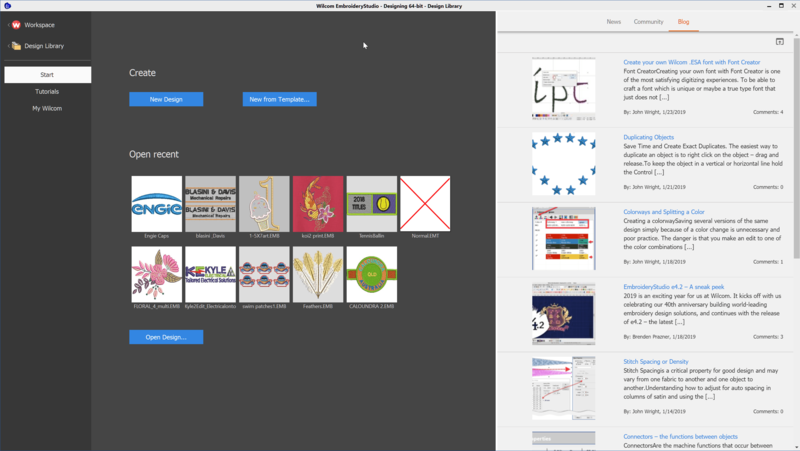 Of course you can access the work area, templates and the Library directly from the Home Screen.